What can we do about the disproportionate impact of climate change on low-income communities? Across America, low-income and minority communities are being hit hardest by the economic and health impacts of climate change. Join us for an afternoon with Van Jones—news commentator, author, and founder of Dream Corps —and learn how we can seek environmental justice for the country’s most vulnerable communities. 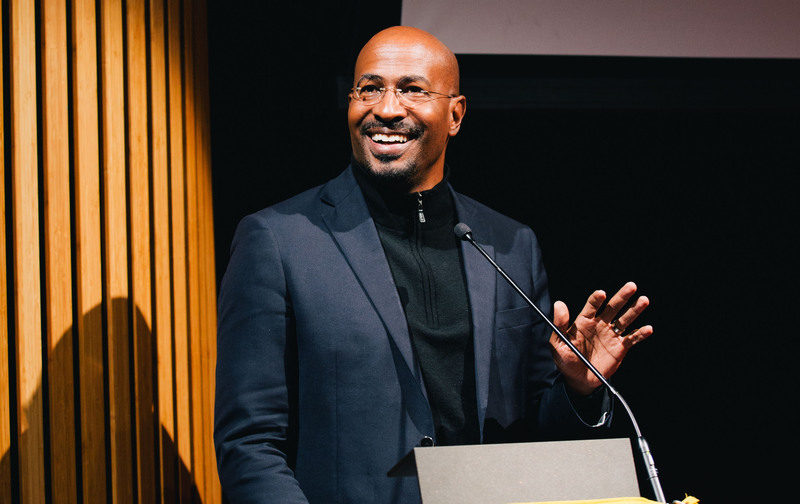 Van Jones is president and founder of the nonprofit, Dream Corps, a social justice accelerator that backs initiatives that close prison doors and open doors of opportunity for all. Jones has led a number of other justice enterprises, including The Ella Baker Center for Human Rights and Color of Change. A Yale-educated attorney, Van has written three New York Times Bestsellers: The Green Collar Economy, the definitive book on green jobs; Rebuild the Dream, a roadmap for progressives; and most recently, Beyond the Messy Truth: How We Came apart, How We Come Together. In 2009, Van worked as the green jobs advisor to the Obama White House. Host of The Van Jones Show, he is a CNN correspondent and regular guest on political talk shows. This talk is the UC Berkeley College of Natural Resources Horace M. Albright Lecture in Conservation and also part of the UC Berkeley School of Public Health’s 75th Anniversary Speaker Series.